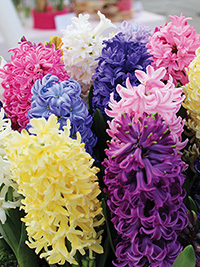 Mixed hyacinths, a wide selection of different colours made up from our full range of named varieties. They average 25 cm tall. Early to mid spring flowering, very fragrant.